Company will showcase optical components and thin film filters for medical and life science applications at SPIE’s BiOS booth #8648 and Photonics West 2018 booth #4867, Jan. 27- Feb. 1, 2018, Moscone Center, San Francisco. SANTA ANA, CA – Precision Glass & Optics (PG&O - www.pgo.com), provides optical thin film coatings and custom optical solutions for a wide variety of life science and biomedical applications. With the recently-announced installation of an in-situ optical monitoring and advanced rate control system, the company produces single- and multi-layered thin films with ultra-precision, up to 10x higher accuracy than previously available. Additionally, the company has an extremely large, in-house inventory of glass substrates, fabrication services and turn-key optics solutions for use in biomedical, MRI imaging, display, projection, scanning, laser, and other instrumentation applications. PG&O will present a wide range of optical products for biomedical at SPIE’s BiOS in booth # 8648, Jan. 27 - 28 and at Photonics West in booth # 4867, Jan. 30 - Feb. 1, 2018, at Moscone Convention Center, San Francisco. Products will include plano optics, beamsplitters, prisms, optical assemblies, windows, hot and cold mirrors, indium tin oxide (ITO), maximum reflectors (Max Rs), anti-reflection coatings (AR), and customized optical solutions utilizing a variety of shapes and substrate materials. 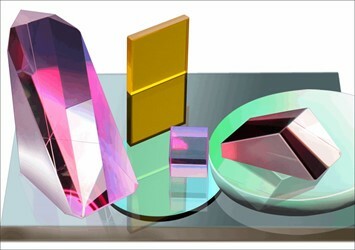 To learn more about Precision Glass & Optics full line of optical thin film coatings for biomedical applications, please call 714-540-0126 or visit www.pgo.com.